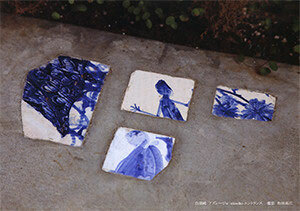 Jun Shirasu joins with the special group exhibition of Portugal embassy at GYRE Omotesando, from 15 to 23 May, 2010. Harpsichord concert by Michiyo Honma, songs of J.A.C. de Seixas and 18c Mediterranean music. Fee JPY3,000, open 2.30PM, start 3PM, 16 May, 2010, at eitoeiko, send email for reservation.